We are located on the Big Island of Hawai’i. If you are planning a trip to Volcanoes National Park, we are along way! 11-3051 Volcano Road, Volcano, HI . 96785. 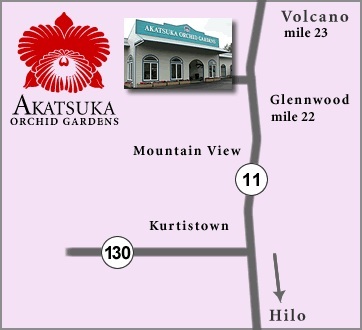 Heading on Hwy 11 from Hilo to Volcano, we are between the 22 and 23 mile marker. It's about a 25 min drive from Hilo and 10 min. from the National Park. The building has easy access and is wheelchair accessible (with facilities). Closed on SUNDAYS & Major Holidays. Click here to view our holiday schedule. We will respond during our regular business hours of 10:00am-4:30pm (HST).